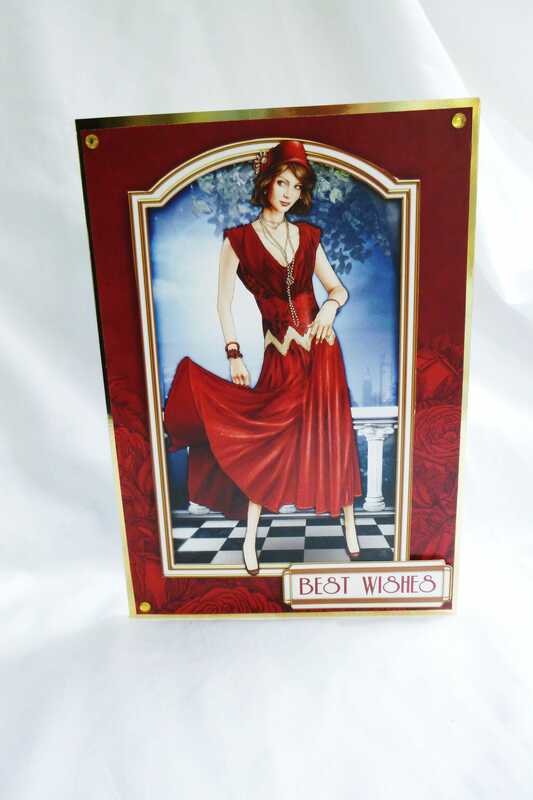 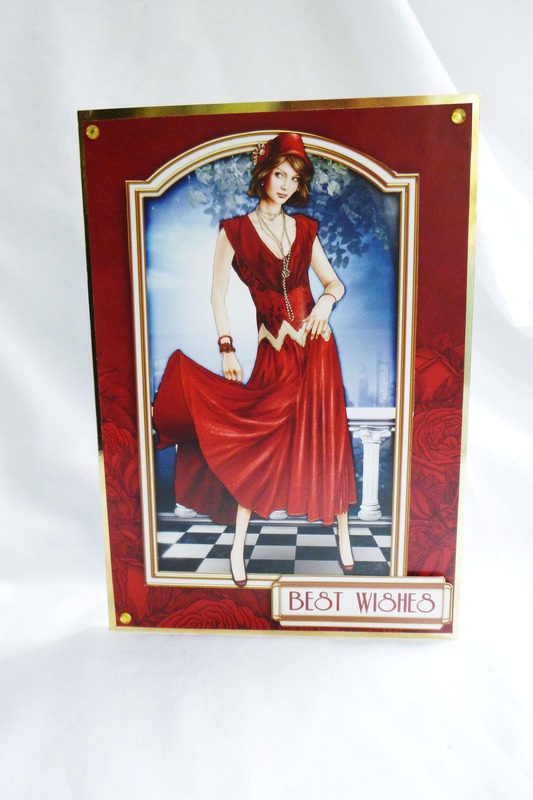 Art Deco birthday card, lady in red dress, string of pearls around her neck, Made from white base card, layered with gold card, and red patterned card with roses, a large topper of the lady, with a sentiment in the bottom right hand corner which says, ' Best Wishes'. 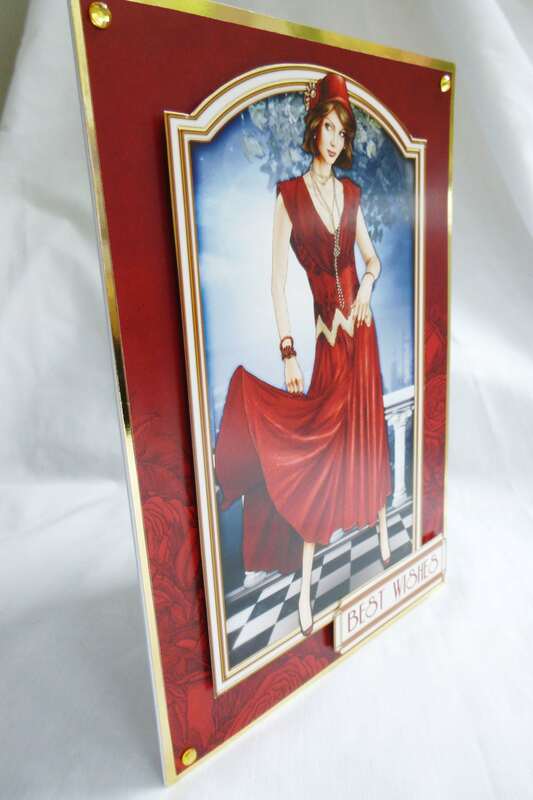 in each corner there are yellow crystal embellishments. 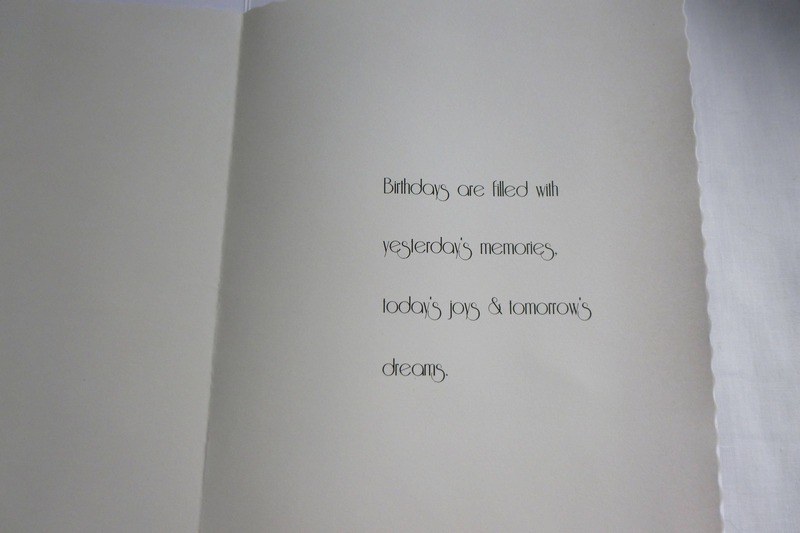 Inside the card is an insert paper withe the verse, 'Birthdays are filled with yesterday's memories, today's joys & tomorrow's dreams'.